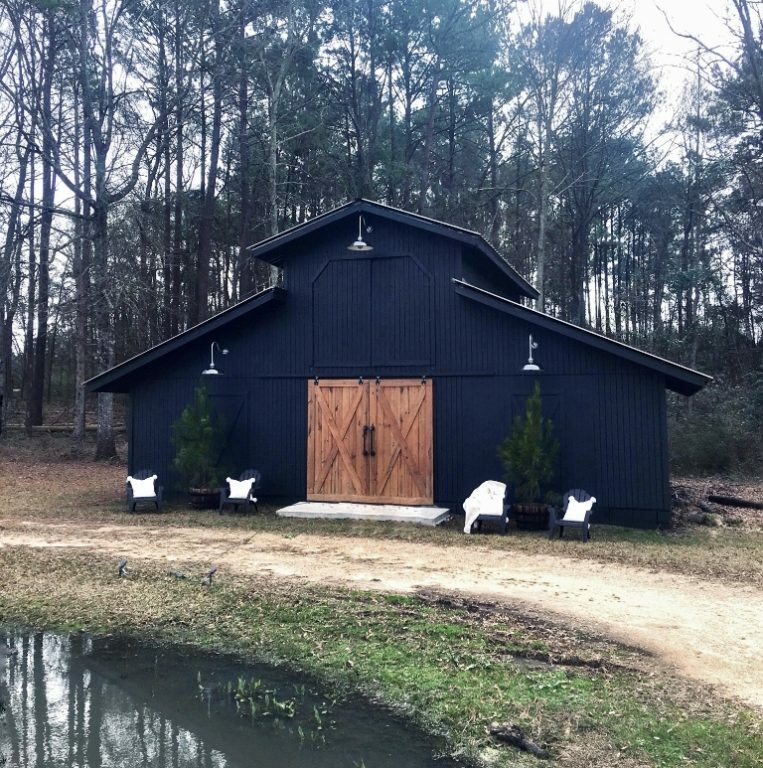 Cindi, who can be found on Instagram @Ivory Home Design, added concrete flooring, new barn doors for the front, and vintage doors from the 1800s to the rear of the barn. 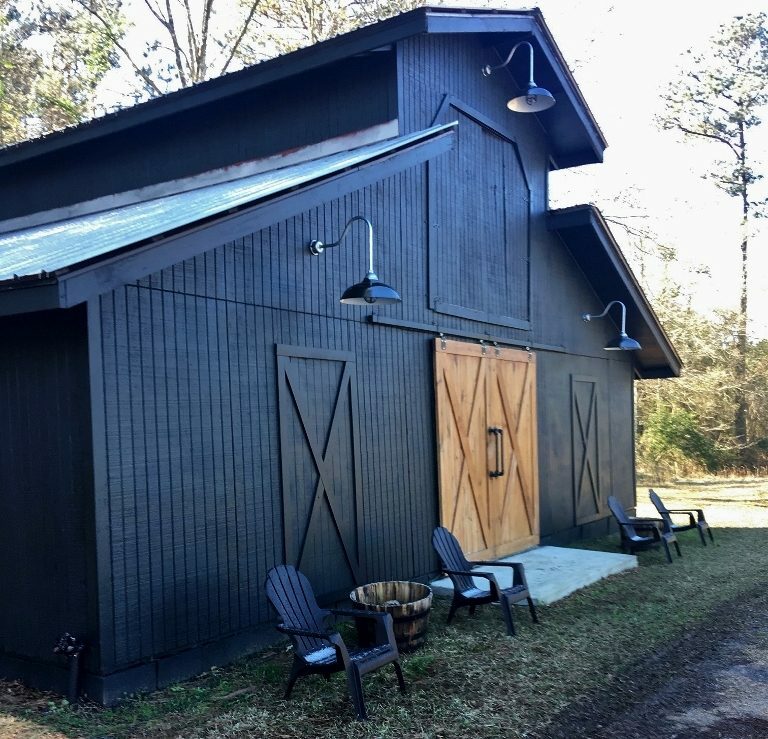 A fresh coat of Benjamin Moore Black Top paint gives the barn a modern feel. 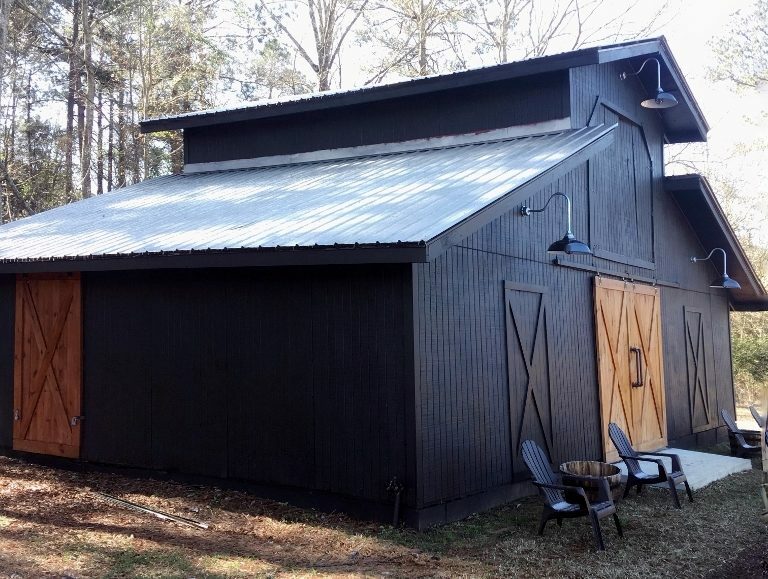 The barn is now listed on AirBnB and is used for family gatherings and small parties. 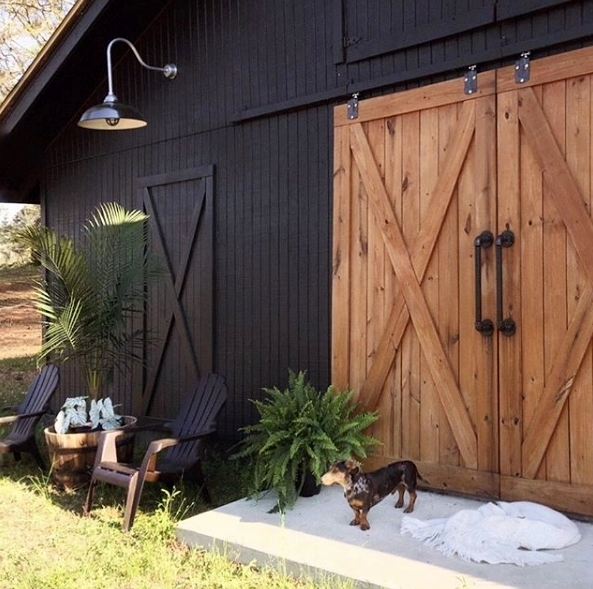 “From the start, I knew I wanted Barn Light Electric’s fabulous lights,” Cindi notes. 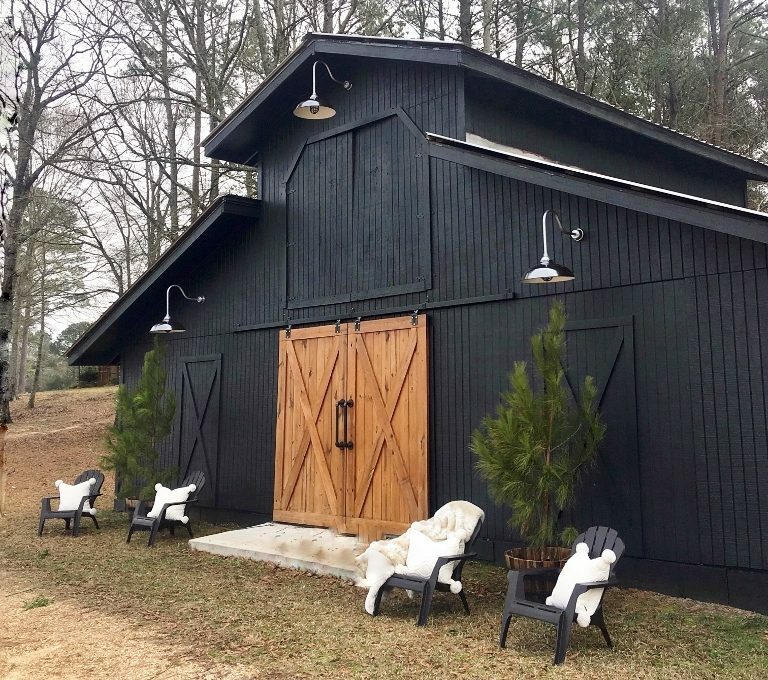 “The quality of the lighting, the customizing choices, and being American made was important to me.” Cindi chose the Chicago Vintage Industrial Gooseneck Light to adorn her refurbished barn. She customized these handcrafted lights with 20″ shades, a Metallic Chrome finish, and G24 gooseneck arms. She also added heavy-duty cast guards and clear glass along with dusk-to-dawn photocells in each fixture. The lights come on automatically at dusk and turn off at dawn. 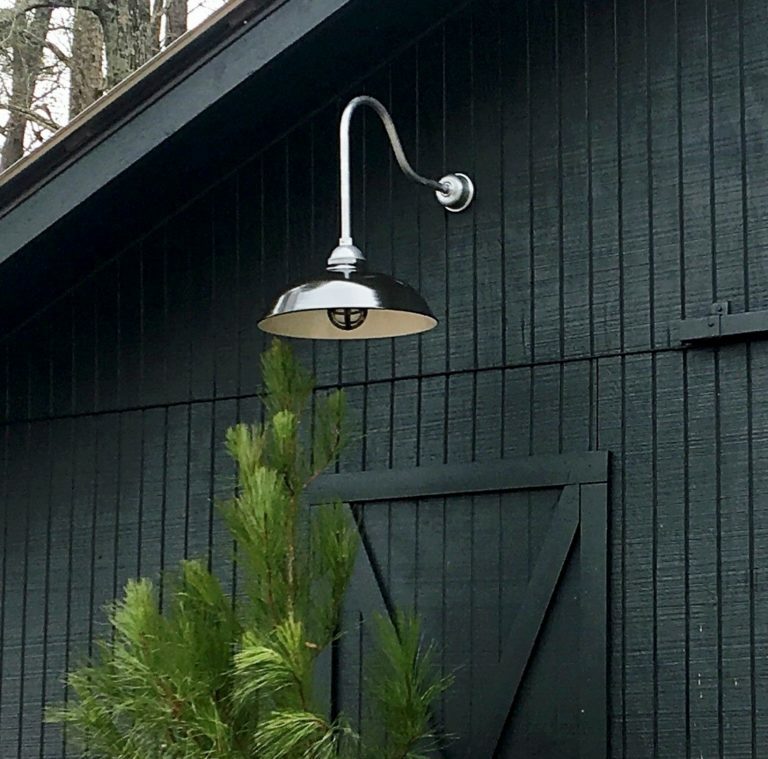 The Chicago Vintage Industrial Gooseneck Light has roots in early 20th century explosion-proof lighting, but its rounded shade and high-gloss porcelain enamel finish give it the modern vibe Cindi desired.